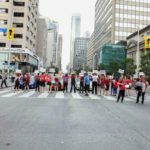 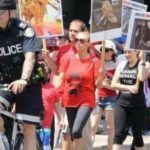 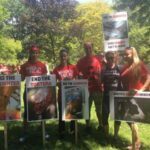 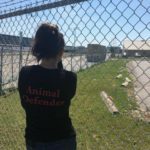 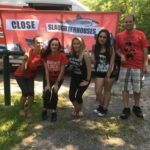 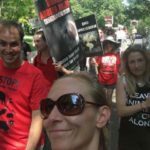 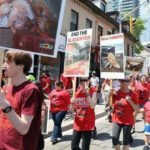 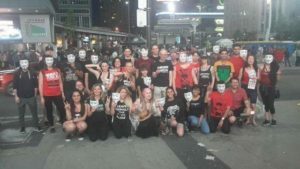 ARRoc members headed to Toronto Saturday, June 10th to participate in a long day of animal rights activism that kept going the next morning. 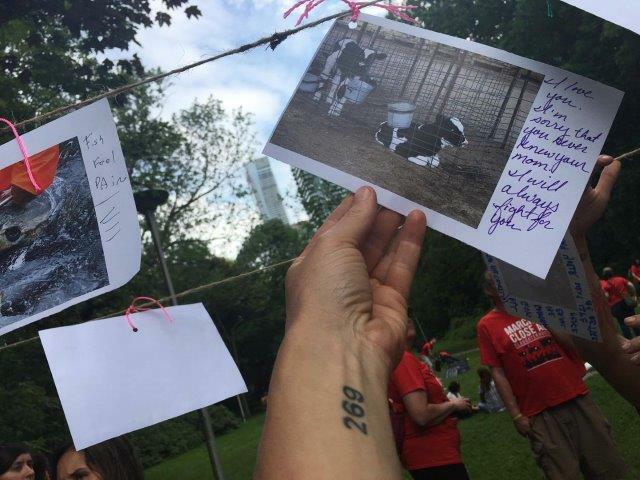 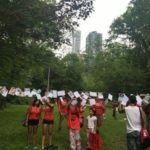 While they were assembling in the park, they wrote postcards to the animals and left them up as a display. 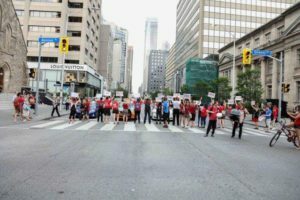 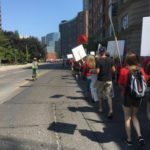 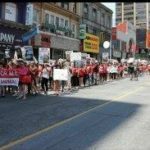 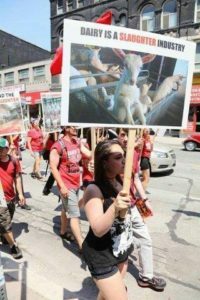 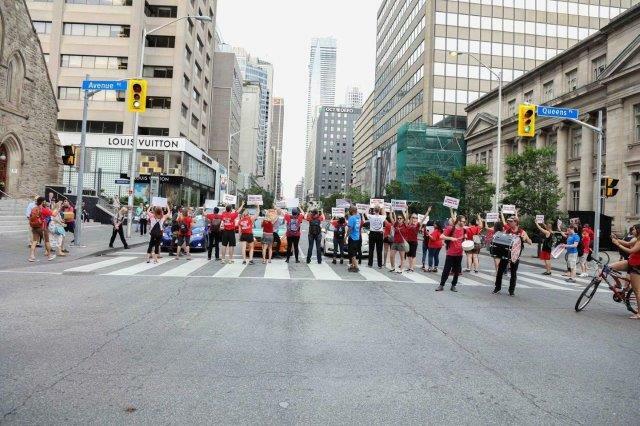 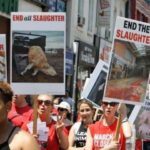 About a thousand protesters marched in the Toronto March to Close All Slaughterhouses. 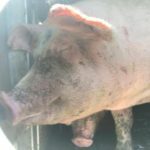 Here is a video. 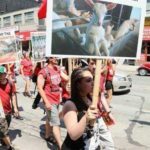 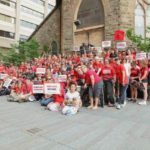 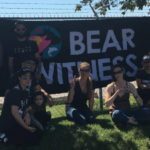 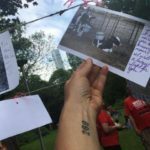 What a beautiful sight, and music to the ears: a thousand people taking to the streets and speaking loud and clear about justice for nonhuman animals. 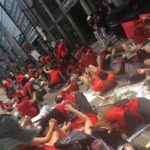 They also did a die-in where they lay down in the street for several minutes. 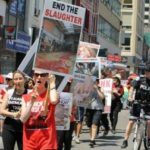 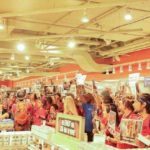 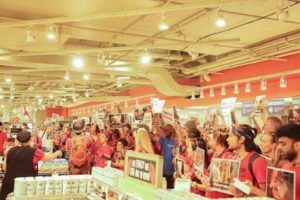 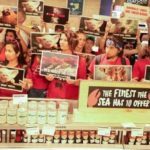 Two hundred of the marchers continued on for a Direct Action Everywhere (DxE) Toronto chapter disruption at Whole Foods, where they entered silently with signs, and then sang a song “Liberation” in front of the “humane meat” section (video). 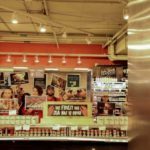 Whole Foods has been a strong promoter of the happy meat lie. 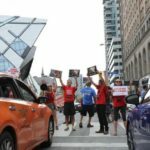 They were in there about fifteen minutes and then they exited the store and blocked traffic at a big intersection for five minutes (video). 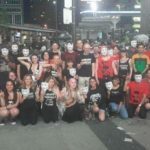 Then there was a huge Anonymous for the Voiceless Cube of Truth, with 3 people on each side. 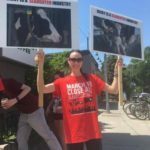 Mary said people in Toronto were very receptive to a vegan message, with practically every passer-by stopping to look at the laptops showing the truth behind meat, dairy, and eggs, and with most people she spoke to deciding to take veganism seriously. 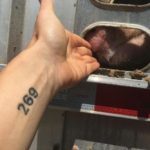 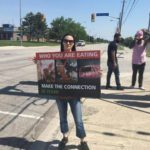 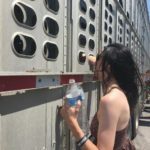 Sunday morning several dozen steadfast activists participated with Toronto Pig Save (part of The Save Movement) as they bore witness to pigs entering a slaughterhouse. 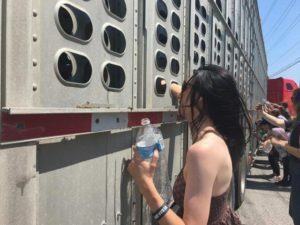 The leader holds up two fingers and the truck drivers stop for two minutes for the advocates to say goodbye (video). You can help stop those trucks by getting friendly support to go vegan at 21 Days of Love. 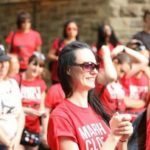 Thank you to Mary for organizing ARRoc’s participation, and for Nolan, Leanne, Graham, Lyndsey, and Jennifer for attending.